The week started with The Pintos playing host to The Emerald Isle Neptunes, on wet mat with a stiff varying wind, making play a little tricky. The Neptunes were a little let down by late unavailability of players and were a rink short despite attendance of reserves, as well as difficulty of some, in finding line and length. Pintos were able to take all the rinks and the overall shots by an appreciable margin. In the afternoon The Broncos entertained The Eagles from Vistabella and turned in another good result for El Rancho, good play enabled them to take full advantage of the home rink in tricky conditions to take 5 rinks and draw the other, with a good shot difference. On Friday The Mustangs played host to La Marina Seagulls, who are always good company and may struggle to adjust to the fast mat, but never complain. The Mustangs took advantage of the home mat to take the rinks 5-1, with losing rink being a close tussle. A good battle and good fun all round. Irene Thomson, Jim Taylor and Eddie Thomson 28-7. Ann Taylor, Malc Sykes and Jim Gracie 23-16. Bob Morgan, John Skipper and David Whitworth 20-12. Henry Ryder, Jan Bright and Richard Lee 16-18. Judy Foley, Keith Cunningham and Geoff Jones 21-11. Barbara Jones, Sheila Cooper and Carolyn Harris 34-11. EMERALD ISLE BOWLS. BY ROBIN (THE SCRIBE) ADAMS. E.i. Cavaliers v Mazarron. A very good result for the Cavaliers, winning on 4 rinks & taking the shots by, 125-93, & points 10-4. Emerald Isle Winners. : Yvonne Mallaburn, Frank Close & Colin Lindgren, (20-15). Dennis Rhodes, Keith Jolliffe, & Drew Gerrard, (37-11). Mel Highland- Ron White- Ann Marie Stevenson, (23-17). Linda Vincent, Glenda O’Dell & Mel O’Dell, (24-10). The Cavaliers are looking very good. A sad day for the E.I. Claymores, fire a long cold trek to La Manga, they failed to win any rinks, & lost shots 52-168. At least they returned with heads held high. Wed 21st Jan. Winter League, E.I. V Quesada: two of the best teams met in a very close match, The Isle won 2 rinks, and drew one, & the shots by 91-72, points, 7-5, we have a very good team. The Emerald Isle winners were: Jean Parkes- Mike Veale – Colin Highland, & Paul Parkes, (27-7). Pat Heaney, Sue Johnson- Dennis Birkett & Ian Brewster, (35-12). Mary Whitelock, Barbara Eldred, John Pooley & Ally Burns, drew(18.18). Keep it up people! Mon 23rd. E.I. Neptunes. V El Rancho. Not what the Neptunes needed, A Whitewash, 0- 14 & shots 51-131. It Will get better SOON. Mon 23rd, E.I. Titans v La Marina Pathfinders, The Titans go marching on, a great result winning on 5 Rinks & taking the shots 114-79. Points. 12-2.. Titans winners were : Pat Heaney, Mike Veale & Ian Brewster. (21-9). Linda Vincent , Glenda O’Dell & Mel O’Dell, (23-11). Dennis Rhodes, Keith Jolliffe & Drew Gerrard, (22-9). Mary Whitelock, Gerald Shatwell & Mike Stacey. (14-13). Marilyn Shatwell, Ron White & Ann Marie Stevenson, (22-19). Very well done TEAM. Winter League, 25th Jan. E.I. v Javea Green, another good win for the Isle, winning 3 rinks & takingthe shots by 86-61, Points. 8-4. Emerald Isle winners: Dennis Rhodes, Yvonne Mallaburn, Frank Close & Colin Lindgren. (22-6). Mary Whitelock, Ally Burns, Ann Marie Stevenson & Drew Gerrard, (19-11). Pat Heaney, Sue Johnson, Mike Thomas & Ian Brewster (19-10). Well played the Isle. Fed 4s, 26th Jan. E.I. Shamrocks v La Siesta Paraketes. A very good win for the Shamrocks against a fine Siestateam, winning on 2 rinks & taking the shots by 57-43′ & the points. By 6-2. Shamrock winners: Maureen Foulds, Mary Malcolm, Alan Howcroft & Jim Mulloy. 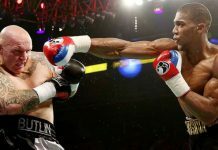 (25-10). Vic Cameron – Yvonne Mallaburn- Bob Foulds & Frank Close (15-11). Keep it going Shamrocks. In the Enterprise Division the Maples were at home to Montemar Matadors, final score was ……Total shots for- 90. total shots against – 110. points for – 6. points against – 8.Winning rinks were – Sheila Stead, Brian Tomlin, Skip – Mel Brown. 15 shots to 14. Dennis Brown, Chris Dewar, skip Sue Brown. 22 shots to 16. Sandra Jones, Zoe Wilcock, skip Jim Wilcock. 17 shots to 12. In the Discovery Division the Sycamores were up against San Luis Romulans. Final scores were – total shots for -112. total shots against – 90. Points For – 10. points against – 4. Winning rinks ………………Diane Lawton, Doreen Watt, skip John Obrien. 19 shots to 18. Jean Giddings, Phil Lockley, skip Graham Watt. 21 shots to 14. Jim Mclean, Margaret Hirst, skip Mike Cassidy. 18 shots to 16. Heather Meston, Mary Lockley, skip Kim Hunter. 25 shots to 9. In the Winter League we travelled to Bonalba. Final score was ……total shots for 71. shots against 92. points for – 4. points against – 8. Winning rinks were – Phil Lockley. Mary Lockley, Chris Dewar, skip Sue Brown. 15 shots to 11. Joan Oliver, Margaret Dewar, John Obrien, skip Marilyn Fryatt. 23 shots to 12.n the Southern Division the Oaks were Away to La Marina Sharks, final score was………..total shots for – 78. total shots against – 131. Points for 2. 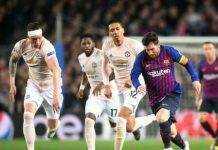 Points against – 12. In the Southern League Div C, The Cedars were at home to San Luis Pumas. final score was……..Total shots for – 127. total shots against – 78. Points for – 12. Points against – 2.Winning rinks were …….Janet Bliss, Margaret Hirst, skip Mike Cassidy. 26 shots to3. Rudy Wattley, Terry Lawton, skip Neville Pulfer. 22 shots to 21. Heather Meston, Mary Lockley, skip Kim Hunter. 18 shots to 13. Jean Giddings, Mary Lockley, skip Graham Watt. 29 shots to 11. Vic Young, Ron Stansfield, skip Dave Giddings. 25 shots to 6. Winning on three rinks well done to Sue Kemp, June Young, skip Brian Zelin 30-12. Ethel Finan, Val Hignett skip Tony Finan 22-10. Denise Ashberry, Dave Melville, skip Bill Young 16-14. Shots Matadors 110 – 90 Maples. Points Matadors 8 – 6 Maples. 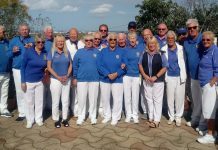 the long trip to Country Bowls was worthwhile for the Toreadors firstly we played without the wind and rain and secondly we had a excellent all round team performance. Winning on four rinks drawing on one and losing the last end on the remaining rink. Shots Toreadors 120 – 89 Flamingos. Points Toreadors 11 – 3 Flamingos. 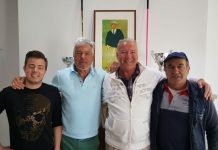 Tuesday January 24th Fed Fours – Monte Mar Picadors v Horadada. Well done to the Picadors winning on all rinks. Shots Picadors 60 – 40 Horadada. Points Picadors 8 – 0 Horadada. Winning on three rinks and drawing on one. Well done to Rowena Good, Sue Kemp skip Brian Zelin 19 – 15. Pauline Merry, Mike Farrelly skip Chris Merry 16 – 11. Ronnie Cairns, June Young skip David Eades 20 – 16. Geraldine Fisher, Harry Dobson skip Gordon Fisher 16 – 16. Shots Matadors 96 – 95 Picadors. Points matadors 9 – 5 Picadors. The long trip to Horadada turned out to be a disappointment for the Toreadors only winning on one rink. While there were some very close matches on a number of rinks the Toreadors only managed one win. Shots Toreadors 92 – 133 Royals. Points Toreadors 2 – 12 Royals. Wll done to the winning rink of Sue Bounds, Les Bounds and skip Jan Gatward. 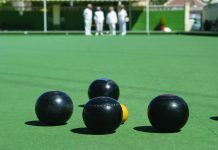 For further information about Monte Mar Bowls and Social Club check out our website www.montemarbowls.com or email us at info@montemarbowls.com. on Facebook. Neither the Explorers nor the Pathfinders had a good Monday. Explorers found their way to San Luis to face the Trekkers and unfortunately lost 10 – 4. Shirley Hadaway, Arthur Cronk and Reg Jackson were worthy winners by five shots whereas Mike Stone, Jim Manning and Janet Parsons did very well winning 30 – 12. The Pathfinders found their way to Emerald Isle and wished they hadn’t as they went down 12- 2. Having said that there was a couple of close games, John Withers’ rink losing by just one shot and Dave Taylor by three. Our winning rink was skipped by Terry Perchard plus Peter Bailey and Angie Butler. So well done to them. The Dolphins had a rearranged game over at Country Bowls with the Geckos and lost by two points overall. Some close matches but the two winning rinks were John Rae, Dave McGaw and Jeff Halfhide and the other rink not only won but got us the overall shot difference with a 33 – 4 drubbing so well played Brian Duff, Martin Butler and Allan Wilcock. Another rearranged game was the Winter League away at La Siesta. As they say a six pointer with both at the wrong end of the league. We did well and came away with 8 points having gained the overall shots. Thanks to all who played on a cold and windy day and more thanks to the three winning rinks of Dave Hadaway and his three girls, Jean Perchard, Barbara Forshaw and Janet Parsons followed by the Captain’s wife, Shirley with Phil Pape, Steve Douglas and Ann Stone who won on the last end and our highest winning rink were the Armitages and the Taylors 21-9. Second Winter League game this week, this time at home to El Cid. We came out the winners by 8 points to 4. The Lathams, Pete Parsons and Kathy Manning had a good win then came the Hadaways, Dave with his girls again, that’s Jean Perchard, Barbara Forshaw and Janet Parsons had the highest winning rink. Shirley with Phil Pape, Steve Douglas and Anne Stone won on the last end. The Berleen of Alex Whyte, Jim Freeman, Mike Surch and Dave Bulfield had an emphatic win 34 – 13. PS I was not last off the green. The Sharks swam in their own ocean and chopped down the Greenland Oaks 12 – 2. Great stuff. Alan Castle, Phil Pape and Janet Parsons were in splendid form winning 41 – 6. Shirley Hadaway, Dave O’Sullivan and Hilary Cronk weighed with a 23 – 9 win. Dave Lewis, Jim Manning and Margaret McLaughlin and Alex Whyte, Jim Reeves and Kathy Manning won. Roy Hart, Peter Parsons and Andy Bartlett scraped home by one shot. Unfortunately the Seagulls had their wings trimmed away to the El Rancho Mustangs. Oh dear 12 – 2 down. Last Wood Latham managed to pull off our only win with laudable help from Wendy Latham and Barbara Forshaw. After the game Pat Davis presented Wendy and Barry with the Bowls Bag they had won. 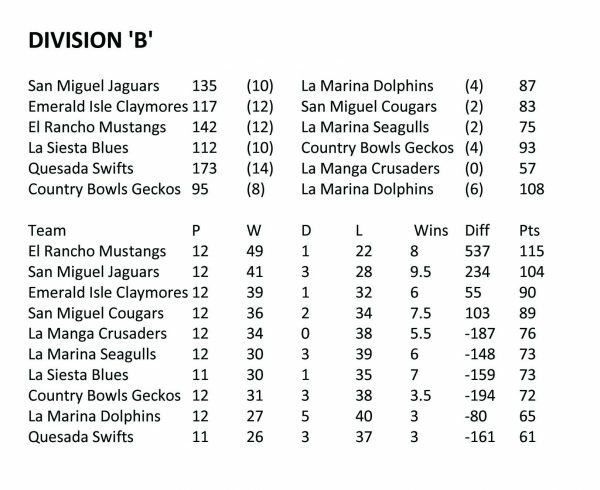 The Dolphins fared a little better at San Miguel Jaguars and managed to get two points more than the Seagulls. John Withers, Jeff Halfhide and Shirley Withers plus Martin Butler, Garth Slater and Trevor Hancock both won. 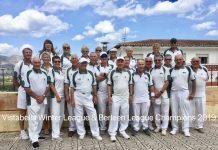 SAN LUIS BOWLS CLUB REPORT 27.01.17. South Alicante Winter Triples: Enterprise Div. Monday 23rd in cold, windy conditions SL Klingons had a hard battle away v SM Pulsars, points 4-10, 97 shots-112. Winners: Shirley Verity, Jo & Julian Pering 23-12, Pat & Graham Bird, Mal Hughes 24-17. SL Trekkers, home v LM Explorers, good win, 10pts-4 104 shots-103: Doug & Fay Beattie, Drew Russell 21-11, Margaret & Barry Roseveare, Neil Morrison 18-11, Irene Everett, Dave Tilley, Vic Slater 23-17, Mags Haines, Derrick Cooper, Peter Fuller 16-15. Discovery Div. SL Romulans, away v GL Sycamores, tough game 4pts-10, shots 90-112. Winners: Dennis Jackson, Cas Blay, Babs Shand 17-14, Kath Waywell, Christine Phillips, Harry Epsom 16-15. Winter League: Wednesday 25th home v Quesada, useful points 7-5, shots 92-81. Winners: Shirley Verity, Ray Clarke, Julian Pering, Russell Marks 26-7, Irene Everett, Lynne Morris, Peter McEneany, Tom Hill 16-16, Kath Reid, Sheila Cammack, David Blackie, Scott Malden 26-18. Berleen team; Margaret & Neil Morrison, Barry Edwards, Vic Slater, good result, 23-19. 8pts-0, 83 shots-36. Winners: Ann Holland, Keith Phillips, Sabrina Marks, Mal Hughes 30-9, Sheila Cammack, Jo Pering June & Keith Jones 22-13, Shirley Verity, Ray Pollock, Peter McEneany, Russ Marks 31-14. Div B SL Condors; great result, home v GL Bulls, 8pts-0, shots 65-33. Winners: Jan Pocock, Margaret & Neil Morrison, Brian Pocock 24-9, Mags Haines, Bill Webb, Barry Edwards, Roy Cordell 25-12, Ros Holmes, Les Bedford Dave Tilley, Vic Slater 16-12. Tuesday 24th Div C SL Bazas away v LS Hoopoes, close result; 4pts-4, 53 shots-54. Winners: Doug Beattie, Margaret Stephens, Fay Beattie, Drew Russell 17-14, Ian Ross, Caz Blay, Sue Ross, Scott Malden 19-18. 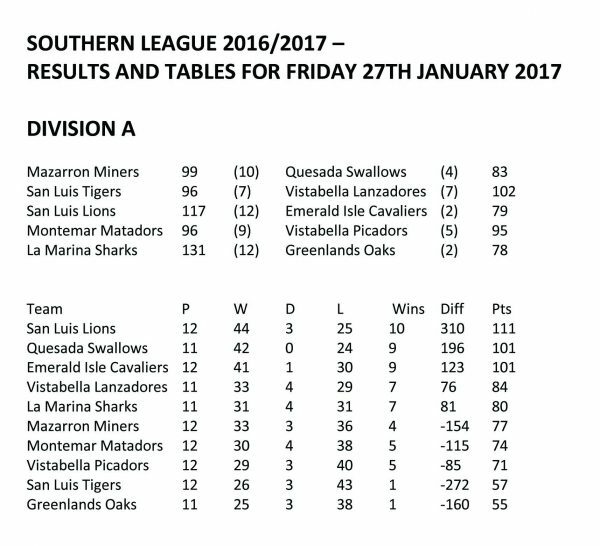 Friday 27th LLB Southern League, SL Lions home v EI Cavaliers, positive result 12pts-2, shots 117-79. 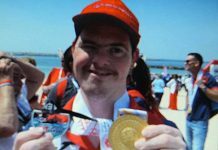 Winners: Colin Jackson, Ray Pollock, Phil Morrachan 17-12, Pat & Graham Bird, Scott Malden 28-14, Kath Reid, Giuseppe Galelli, Mal Hughes 20-14, Steve Simmons, Sheila Cammack, Roy Cordell 15-10, Ray Clarke, Keith Phillips, Keith Jones 26-10. SL Tigers, home v VB Lanzadores shots 96-102, points 7-7. 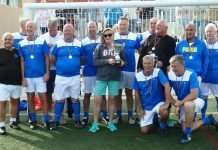 Winners: Margaret & Barry Roseveare, Neil Morrison 16-16, Allen Bowen, Les Bedford, Sue Cooper 20-15, Jan Pocock, Vic Slater, Brian Pocock 20-17, Irene Everett, Cas Blay, John Malden 18-11. SL Pumas away v GL Cedars a tough game 2pts-12, 78 shots-127, winners: Sheila Reynolds, Geoff Francis, Margaret Clarke 24-7. 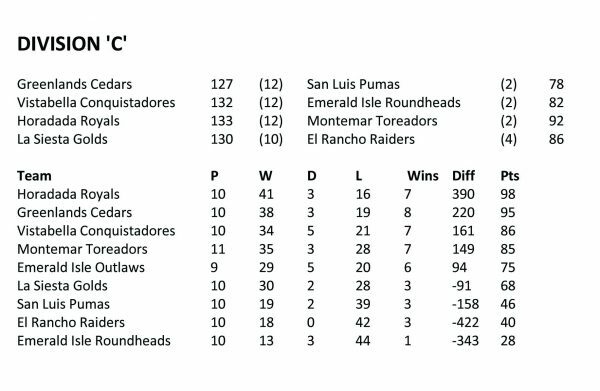 San Miguel Pulsars had a great result against San Luis Klingons winning 10points to 4 in the SABA league. Well played by Eileen McLaren, Tom Dalgleish, Eddie Cowan, 16-14: Pat McEwan, Ron Nairey, Dave McEwan 18-14: Sue Milner, Paul Thomas, John Raby 27-11: Peter & Brenda Rees, John Staden 22-11. Shots for 112, against 97. The Comets won 8-4 against La Siesta Apollos, with shots 111 for, 95 against. Well done to Mike Pitt, Frank Scotthern, Ros Stockell 25-13: Carl Eagle, Peter Ross, Bob Donnelly 15-13: Bill & Joyce Reeves, Mike Bayfield 16-13. The Meteors didn’t do as well, playing away to Vistabella Drivers, only picking up 3 points. 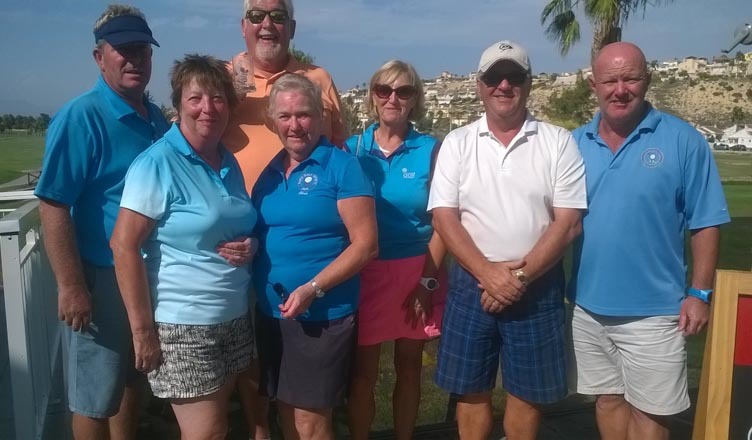 Winning team was Jan Allen, Gail & Fred Willshire 21-16: Brian Miller, Mary Dyer, Lin Miller managed a draw 13 across. Hard lines to Margaret, Tony and Stuart only losing by 1 shot. Shots for 95, against 115. The Winter League picked up 6 points against La Siesta, but took the overall shots 82 to 77, with a couple of very close losing games. Winning teams were Alan Patterson, Linda Plaisted, Stuart Hemmings, Steve Cantley 17-11: Jan Allen, Reg Cooper, Noel Davis, Ian Rogers 26-11. In the Fed Fours the Apaches lost their scalps when they played their rearranged game against Vistabella Vikings, losing on all 3 rinks!!! The same week they played Quesada Panthers at home, knowing it would be a hard game, but thanks to Ken Hope, Pat McEwan, John & Gary Raby who were 17 across going into the last end, a brilliant wood by John took out the oppositions wood and the game went to San Miguel. 2 points to San Miguel 6 to Quesada. The Mohawks had a good result away at Country Bowls winning 6 points to 2. Very well done to Bob Nesbitt, Joe Getgood, Peter Ross, Bob Donnelly 17-16: Jan & Derek Farmer, Alan Booth, Jack Jackson 20-12: Margaret, Sheila, Alan, Eddie lost by 1 shot!! 53 shots to San Miguel, 45 against. In the Southern League, The Cougars had a bad day against Emerald Isle Cougars losing 10 points to 2. Winning rink was Bob Graham, Ros Stockell, Barbara Scotthern 24-11. Shots for 83, against 117. A good result for the Jaguars at home against La Marina Dolphins winning 10 points to 4. Very well done to Eileen McLaren, Eddie Cowan, John Raby 18-13: Ken Hope, Sheila Booth, Gary Raby 31-9: Jan Farmer, Ron Nairey, Paul Thomas 29-14: Anita Brown, Tom Dalgleish, John Marshall 23-11. 135 shots for San Miguel 87 against. WASPS are still going strong – Wednesday 1.30. Open to players of all abilities. 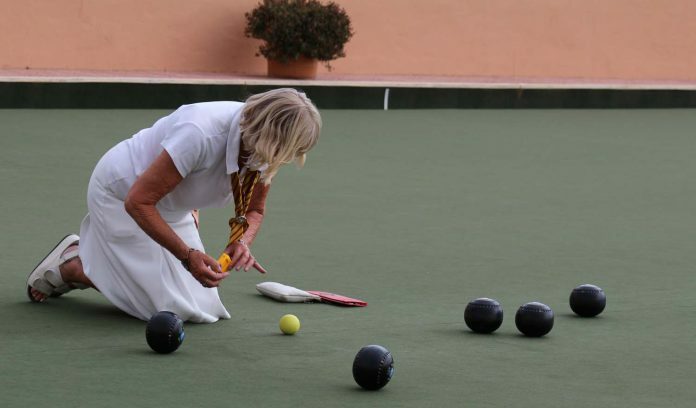 For further information on San Miguel Bowls Club, please contact the President, Eileen Potts, telephone 966730376 or Secretary, Pat McEwan telephone 966714257. Plenty going off this week with very mixed results. 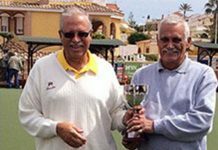 The Monday S.A Spitfire League Albatrosses were away to the Quesada Pearls winning on two rinks skipped by E Bishop & A Brown. VB 83 (4) -130 (10) Q. The Drivers had a fab home win against San Miguel Meteors. J Chaplin, S Norris & I Kenyon 27-15. A Leggatt, B Pointon & P Whitehall 18-10. F Barclay, B Ewart & G Thorpe 20-16. D Leggatt, L Barber & B Norris 21-20 P Rafferty, D Chaplin & Carol Thorpe 13-13. VB 115 (11) -95 (3) Voyager league Eagles were away to El Rancho Bronchos, a bad day at the office. VB 85 (1)-146 (13) ER. Winter League at home against Finca Guila, a superb win across the board. Well done to the team. VB 97 (8) – 64 (0) FG. Fed 4’s. The Vikings had two games this week the first at home against San Miguel Apaches, a full house of points and a bag full of scalps. VB 73 (8) -25 (0)SM. The second game being away to the San Luis Osprey wiped the smile off our faces..total defeat. VB 26 (0) -83 (8) SL. Southern League Div.1 Lanzadores away to the San Luis Tigers, a pleasing result especially with our thee Amigios clocking up a win worth four points G Paylor, S Allman & E Bishop 29-10. also winning were O Ratcliffe, M Regan & A Brown 17-13 & a draw of 16-16 from J Chaplin, S. J Broadhurst & I Kenyon. VB 102 (7) – 96 (7) SL. The Picadors at home to MonteMar Matadores had two wins from G Thorpe’s & M Foulcer’s teams and a drawn game from P Rafferty’s. Shots were very close VB 95 (5)- 96(9) MM Div 3 Conquistadors beat the Emerald Isle Roundheads at home, well done to R Savage, Ken Savage & P Tomkins 29-10. S Cox, R Hudson & J Harwood 20-14. M Irwin, J Bagwell & M Cox 27-17. L Prockter, D Graham & B Prockter 25-14 & D Harwood, P Cadwell & G Gandy 20-12. VB 132 (12) -82 (2),EI.